Every day at Adopt-a-Pet.com we encounter people all around the world who have a unconditional love for pets. And recently we caught up with Chan Kah Yein, a mathematics professor who was able to share with us her ebook entailing 7 stories about pet adoption. Kah Yein founded and coordinates AnimalCare, a group dedicated to providing for the well-being of animals. She also rescues and fosters abandoned animals. Kah Yein gives public talks regularly on cultivating compassion to animals, and ways to lead a simpler and more spiritual life. To date, she has written four books and many of her talks have been produced on audio CDs, all for free distribution. With a love for all things small and simple, her motto is to embrace simplicity and travel light in life. The ebook can be downloaded here Pawprints on My Heart e-book, and a summary of each story written by Kah Yein is outlined below. 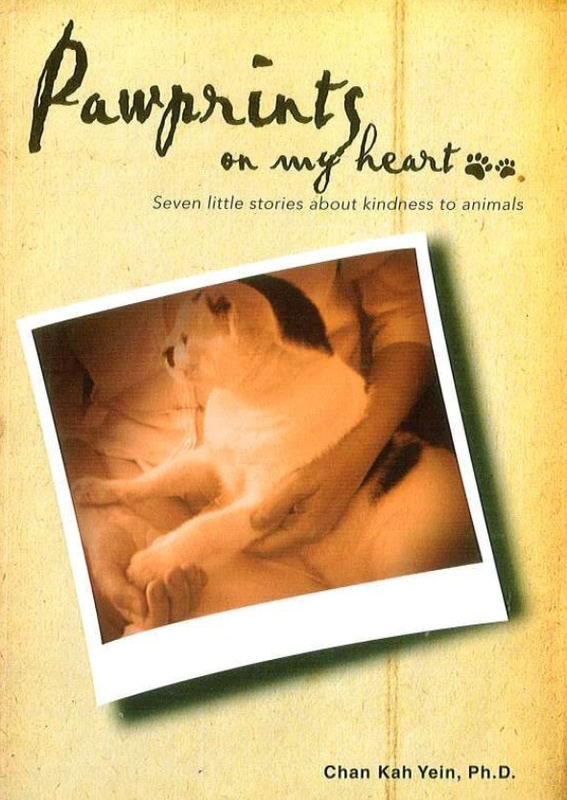 Pawprints on My Heart is a collection of seven true stories from my life. I hope you will enjoy reading them as much as I have enjoyed writing them. Remembering Puffin and Remirth is a biography of my first dog-friends who saw me grow up from a little girl of eight until I was twenty-two. Mother’s Day Gifts from Heaven describes my first encounter at rescuing kittens and how love and unrelenting determination can beat the odds. The Big Rescue Operation is a detailed account of how my friends and I carried out a near-impossible task of rescuing forty-five dogs from being put to sleep at the local pound. Tiger’s Tales tells how a little cat fosters peace and friendship with other animals, and shows how kindness begets kindness in a loving environment. Farewell, Little Pans is about the reality of life where we can only do our best and be prepared to let Nature take its course, sometimes unexpectedly. The Crow in the Drain reminds us that even when we face seemingly difficult situations, we still have choices in life. We can always choose to be a little bit more compassionate and not opt for the most convenient way out. The Miracle of Vixey tells how faith and compassion helped bring a little one-month old kitten miraculously back to life from the brink of death.